Microsoft founders Bill Gates and Paul Allen have led the many tributes to 'father of the PC' Dr Henry Edward 'Ed' Roberts, who has died at the age of 68. Roberts was the inventor of the Altair 8800, a machine that led Bill Gates and Paul Allen to contact him after seeing the machine on a cover of a magazine, offering to write software for it. That software became Altair-Basic, from which Microsoft was born. "Ed was willing to take a chance on us - two young guys interested in computers long before they were commonplace - and we have always been grateful to him," the Microsoft founders said in a statement. "The day our first untested software worked on his Altair was the start of a lot of great things." Dr Roberts was the founder of Micro Instrumentation and Telemetry Systems (MITS). 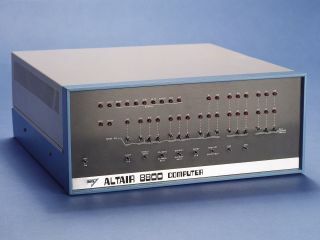 His Altair 8800, was a computer operated by switches and with no display as with modern PCs. This early version of the personal computer was featured on the cover of Popular Electronics magazine in 1975. "We will always have many fond memories of working with Ed in Albuquerque, in the MITS office right on Route 66 - where so many exciting things happened that none of us could have imagined back then," the Microsoft founders said in a statement.